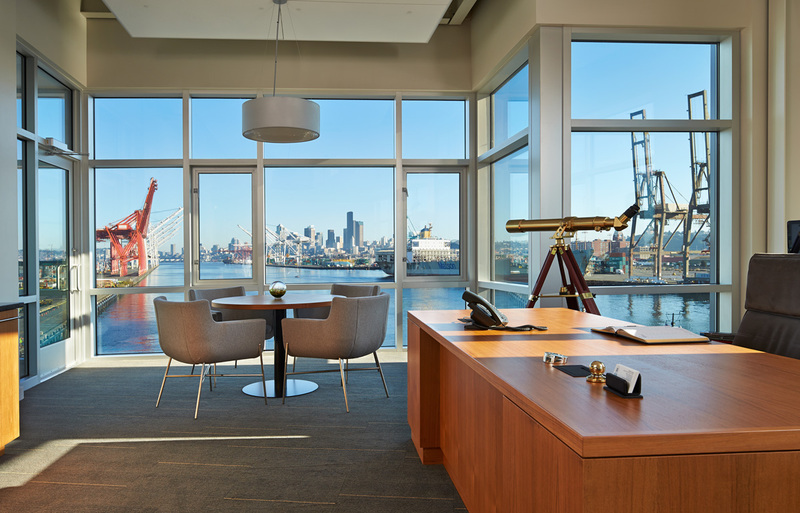 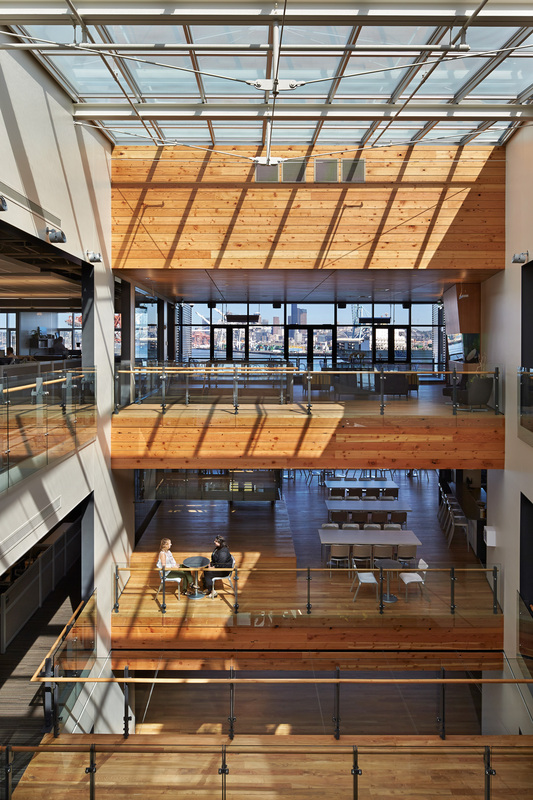 Located on Seattle’s Harbor Island, the 57,000 sf project involved updating the master plan and constructing the new global headquarters for a global marine company, located on a formerly contaminated 3.2 acre site. 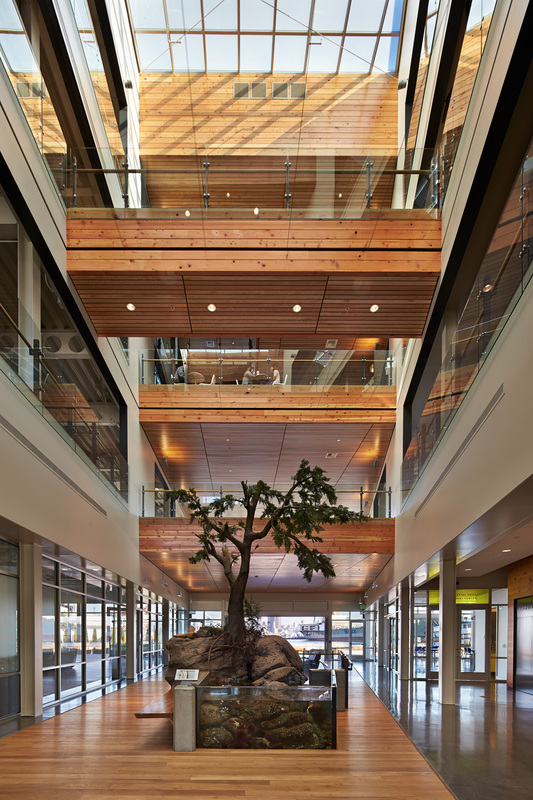 The work included the demolition of existing structures and construction of a new 45,000 sf four-story, steel-frame, headquarters office building and associated buildings (9,000 sf two-story steel shop building with electrical station and 1,600 sf wood-framed addition to the existing accessory office building). 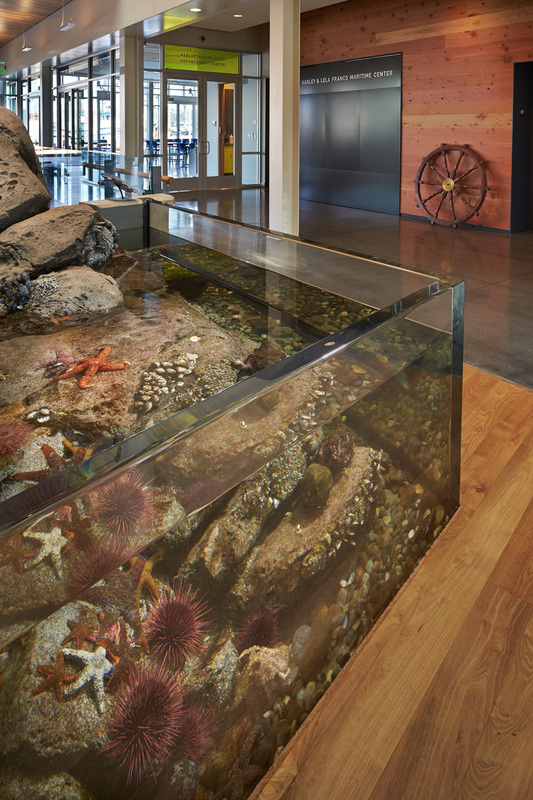 The LEED Gold Certified building features an open multi-story daylight atrium to maximize natural ventilation and light, seven shared conference spaces, a 2,000 sf training space, outdoor deck utility upgrades, sidewalks, paving, terrace, marine vehicle maintenance apron and yard storage, parking, and low-impact development site improvements. 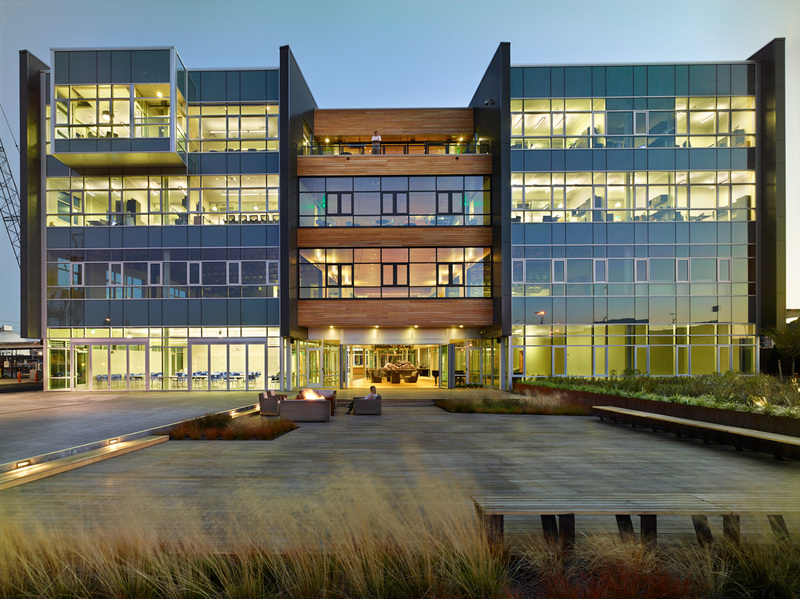 It was recognized as the 2013 NAIOP Night of the Stars Office Development of the Year.